The current popular theory is that they are linked to the autoimmune system and an allergic reaction, in that certain triggers (that may be different from one person to the next) cause the mucosal lining (protective layer on the cheeks, gums, tongue, throat etc.) to become compromised, such that it is attacked by one's own saliva, or unfriendly bacteria within it. Don't forget to post your comments after trying the common solution for Mouth Ulcer.Maybe next time you truly would like to check us out. A headache is the term used to define any kind of ache or pain that occurs in and around the head, or even in the upper neck. Headaches may occur independently, in the sense that they are unconnected to any health condition or disease, or they may at times occur as a symptom of some disease. All of us experience headaches at some point or the other and it is in fact one of the most common complaints and also the most widely treated with home remedies and pharmaceutical headache treatments. Although headaches may in most cases be unconnected to specific ailments or health conditions they are often like a warning system from our body that something is not right. In most cases it is stress, lack of sleep, and other such circumstances that trigger this response. For example, if you haven’t had adequate sleep for a few nights in a row you would most likely experience headaches. Headaches may not necessarily be trigger by psychological factors such as emotional distress, stress and so on, but could also be triggered by physical stress and exhaustion. There are various types of headaches, with an even greater variety of causes, but the most commonly occurring types of headaches are tension headaches. There are probably none among us who have escaped this type of headache. The severity may vary greatly and so will the duration, depending on the trigger, the tension headache treatment provided and other factors. Tension headaches generally occur due to causes like neck pain, stress, anxiety, depression and also because of muscle tightness or tension in the shoulders, jaws and scalp. Tension headaches are most likely to affect you if you work excessively, if your social relationships are strained, if you follow irregular eating and sleeping patterns, or consume excessive amounts of alcohol. As with any other condition the only effective treatment would be to eliminate the cause and provide relief. Tension headache treatment with over the counter medications that simply provide relief will only offer a temporary solution, and you will be plagued by the problem increasingly frequently. Apart from tension or stress headaches there are some other types of headaches that are quite common. Sinus headaches and migraines are probably the next most common types, although migraines cannot really be classified as headaches as this would be an over simplification. Migraines are a lot more severe, and the experience of a migraine is not comparable to the normal headache. 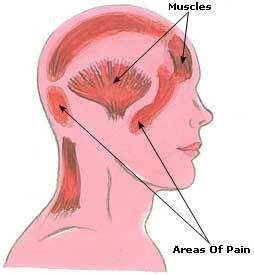 Headache cures are the most sought after remedies as it is one of the most common ailment people suffer from. 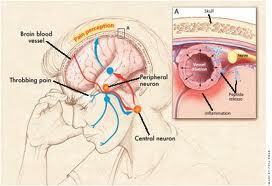 Headaches afflict almost everyone at some time or the other. Most headaches are functional, being caused by temporary upsets, and are not related to any organic changes in the brain. They are often natures warning that something is wrong somewhere in the body. The actual pain, however, arises from irritation to nerve endings in the shoulder, neck, and scalp muscles, and also in the smooth muscles encircling the blood vessels which severe these areas. We wanted to provide some natural remedies that will not produce any side-effect to us and got the answer from Granny therapy. We got what we were looking for. This is purely home made,so no side-effects. We tried to find out whether it was really helpful or not? So we posted the above link and got numerous feed backs from all over. We were happy with this and wanted to share it with everyone. சின்னஞ்சிறு குழந்தைகளுக்கு வரும் சிறு நோய்களுக்கு மனத்திடமுடன் இருந்து மருந்து கொடுத்து அவ்வப்போது நீக்கிக்கொள்ளும் அறிவும், ஆற்றலும் நம் முன்னோர்களுக்கு குடும்ப பழக்கத்திலே எற்பட்டிருந்தன. இப்பொழுது அதை அறவே மறந்து விட்டோம். அதனால் உரமிழ்ந்து, உள்ளமுடைந்து கவலையுற்று வருந்தி வைத்தியசாலைகளை நாடிச் செல்கின்றோம். இந்த நாளில் குழந்தையைப் பெற்ற தாய்க்குப் பேணி வளர்க்கத் தெரிவதில்லை என்பதைக் கோபமில்லாமலே ஒப்புக் கொள்ளத்தான் வேண்டும். குழந்தைக்கு வருகிற வியாதிகளுக்கெல்லாம் காரணம் தாய்மார்களின் அஜாக்கிரதைத்தான். குழந்தைக்கு வயிற்று வலி, வாயுவினால் ஏற்படும் உப்புசம், சூட்டினால் இருமல் முதலிய சிறு நோய்களுக்கு கூட தாயார் பெரிதும் அஞ்சிச் செய்வதறியாது திகைக்கிறாள். மருத்துவரிடம் ஓடுகிறாள். அதனால் பொருள் செலவும், காலக் கழிவும் ஆகின்றன. இவ்வகைத் துன்பங்கள் எல்லாம் நேராது குழந்தைகளை காப்பாற்ற வேண்டி இந்த பக்கத்தை புதிதாக ஏற்படுத்தியுள்ளோம். குழந்தைகளுக்கு வரும் எந்த நோயையும், மிக எளிய முறையிலே தக்க மருந்து கொடுத்து நீக்கிக் கொள்ள இந்த இணையம் பயன்படும். இந்த பக்கத்தில் குழந்தைகளுக்கு வரும் நோய்களுக்கு சிகிச்சை முறையை விவரித்து உள்ளோம். ஆங்கில மருத்துவர்களால் கைவிடப்பட்ட அநேக குழந்தைகளை இந்த பக்கத்தில் உள்ள மருந்துகளால் குணப்படுத்தப்பட்டிருக்கின்றன என்பது குறிப்பிடத்தக்கது. இந்த பக்கத்தில் கூறப்பெற்றுள்ள மருந்துகள் அனைத்தும் தென்னிந்திய குடும்பங்களிலே கையாண்டு நூற்றுக்கு நூறு வெற்றிப்பெற்ற அனுபவ உண்மைகளாகும். இதில் கூறப்பட்டுள்ள முறைகளை கையாளுவதிலே அதிக முயற்சி தேவை இல்லை. பொருட் செலவு குறைவு. உட்கொண்டால் என்ன ஆகுமோ என்று பயப்படும் படியாக எந்த நச்சுப்பொருட்களும் இல்லை. ஆகவே இதனைப் பயன்படுத்திப் பயனடைய வேண்டியது அவசியமாகும். Interest and support for the conservation and development of medicinal plants is increasing in all parts of the world. This is due, in part, to a growing recognition given to the role of medicinal plants in the provision of culturally relevant and affordable health care in creating sustainable livelihoods and in the vital conservation of biodiversity. This has also drawn the attention of the world community towards the need for creating mechanisms to ensure sustained development of the sector and to allow sharing of information between countries, organizations and agencies. As per World Health Organisation (WHO) estimates, almost 80% of the population of developing countries relies on traditional medicines, mostly plant drugs, for their primary health care needs. In fact it is well known that even in developed countries, the use of traditional medicines is quite prevalent. Also, modern pharmacopoeia still contains at least 25% drugs derived from plants and many others which are synthetic analogues built on prototype compounds isolated from plants. Medicinal plant is increasing in both developing and developed countries due to growing recognition of natural products being non-narcotic, having no side-effects, easily available at affordable prices and sometime the only source of health care available to the poor. In India, Medicinal plants sector has traditionally occupied an important position in the socio cultural, spiritual and medicinal arena of rural and tribal lives. Recognizing its importance, the Government of India established the Department of Indian System of Medicine and Homoeopathy, and more recently the Medicinal Plants Board to develop, promote and regulate the sector for maximizing the benefits to the people as well as to ensure sustainable growth. Medicinal plants have been identified as one of the thrust areas by the Ministry and different programmes have been initiated for conservation of medicinal plants found in the forests and protected areas as well as cultivation of these plants in the degraded forest areas. The term “granny therapy” [பாட்டி வைத்தியம்] refers to the ancient tradition of ‘Herbalism’. It means treatment of disease using medicinal plants. This existed even about 60000 years ago. As civilizations came about, each society or civilization started practicing separate forms of Herbalism. This depended on the locally available materials and individual cultures. Thus, different forms of medicine like Chinese, Indian and Greek originated. During the 1400s, in the European countries, a spirit of curiosity prevailed as to ‘How’ and ‘Why’ things worked. This saw the birth of Allopathy or modern medicine as we know it today. Both “granny therapy” [பாட்டி வைத்தியம்] and Allopathy have their own basis and principles. “patty vaithiyam” use whole herbs or herbal extracts in different forms along with some ingredients of animal or mineral origin. Allopathy on the other hand uses naturally or synthetically engineered molecules. The treatment using natural remedies is holistic, that is, treating the individual as a whole and not any symptom or indication. This system believes that a disease is not diagnosed by symptoms alone but also on the mental and spiritual health of the patient. In Modern medicine or Allopathy, treatment is based on symptoms, and is based on‘cause and effect’. It focuses on what physical being causes the ailment and what can be done to cure it. The philosophy behind “patty vaithiyam” is that Nature has all the ingredients to treat the disease. Nature includes the patient’s own body. Allopathy believes in specifically targeting the disease causing organisms. In a way, both systems have one basic role, treatment of ailments and keeping the body and mind well. So, a synergy between the two cannot be ruled out. The exchange of philosophies can lead to both systems co-existing and prove a double boon to patients. Granny therapy provides the knowledge of food;as how the food we consume daily becomes the very good medicine when we become ill.
Out of these three the most important of which is now food has become the least important for him.Because there are so many types of food that he had almost lost the traditional values that a home cooked meal can provide.It seems to me that he will never realize that the food that we consume is the very existence of his being. But don't worry !! !Here comes Granny therapy. Now granny will tell you how the simple food becomes the effective medicine when taken in the right proportion . "When diet is wrong medicine is of no use. GrannyTherapy count down started for Beta release on Jan 26th, 2011 at 0hour!! !